Most of us are pretty comfortable with how our faces look, but we sure are not okay with those ugly dark circles beneath our eyes. These circles make our faces look incredibly unattractive. So, how do we keep these unwanted shadows at bay? Well, besides altering your lifestyle, there are guaranteed tricks to hide them especially when you are aiming for last minute coverage. A vanity kit is always preferable to hide those puffy eyes, and these tips really work. Let’s run through the 5 most fundamental makeup tips that every woman should follow for hiding dark circles! The choice of a concealer comes across as a profoundly important choice that you would make in hiding those dark circles. The thumb rule is to always opt for a color that is bit lighter than your skin tone. Ideally, use a one that has more of a yellow base but the tone should be a bit lighter than your skin color. The yellow tone here will cancel out the blue, green or purple hues. Depending on what kind of coverage you want, you pick the concealer accordingly. For instance, if you aim for a lighter coverage then a liquid tube with lightest formulation is perfect. But, for heavy coverage you must go for stick concealers. Not only is it necessary to use the right one that matches your skin tone, but it is equally important to use it in a professional manner to see effective results. It is imperative to use a brush in order to pat the concealer on the dark patched underneath the eyes, and in the end, smile and see if it is blending with fine lines. If it is then blot it off with a tissue. If you are amongst those who like to stick to just essentials then you can use your foundation instead of a concealer. The only thing is that you have to use a liquid foundation and squeeze it into a tiny bit on your hand and let it oxidize. The idea is to achieve a more concentrated pigment, which is formed only with longer exposure to open air. Once the pigment is formed, only then you can use your pigmented foundation. It is a good idea to shed some powder on the blemishes. Powder will assist in adding little bit more coverage to the dark circles besides helping the concealer to last throughout the day. Applying loose powder in the T zone and under the eyes will do magic. However, in case if you have dry skin then you can skip the powder application and instead use a matte eye shadow 2 shades lighter than your skin. 5. The Most Surprising Tip? – Use a lipstick! Cover them all with a thin layer. Apply concealer on this layer and continue with your normal make up. It will not only cover the dark circles but will give a glow to your eyes. The important thing is to apply bright red or orange color lipstick only. Why? Because red color is perfect for covering blue/black. The makeup tips mentioned here are merely for covering purposes; however, if you are looking at healing dark circles for good then you must alter your lifestyle habits. Conversely, these makeup tips will act as a rescue plan for any last minute party plans with your friends. By simply following these makeup tips, you are sure to cover those puffy eyes for longer hours. Nobody wants to get older, and few people want to even look their actual age. While you can’t fight time and you are going to get older, that doesn’t mean that you have to look as old as you are. In fact, there are a variety of different things you can do to make yourself look younger, ranging from quick fixes you can do at home in just a couple of minutes to more permanent solutions that will keep you looking younger than you really are for years to come. The color of lipstick or lip gloss that you put on your lips makes a big difference when it comes to hold old you look, even to people that see you on a regular basis. Dark colored lipsticks tend to make your face look heavy, and while they might have been intriguing when you were young and didn’t have to worry about sagging skin and dark circles under your eyes, lighter shades are best if you’re worried about how old you look. Light colored lipstick or lip gloss has the opposite effect, working to brighten your face and make you look more youthful. Dry skin looks old, and wrinkles are much more visible if your skin is need of moisture. That’s why it’s really important for aging adults to use a high-quality moisturizer on their face and body. While you can get all sorts of expensive products, one of the best moisturizers for your body is quality extra virgin olive oil because it contains essential fatty acids. Olive oil might be a little too greasy for your face, however, so stick with a recommended facial moisturizer for aging skin. Glasses can look amazing, but they can often make you look older as well. For those that want to toss their glasses there is always the option of contacts. While contacts will give you the same younger look, they won’t help you fell younger. Lasik eye surgery will make you feel young as well by giving you your sight back. Best of all there is no need to even own glasses. According to Utah lasik center, you will be able to wake up and see perfectly first thing in the morning. The idea of cosmetic surgery scares a lot of people off, but there are few solutions that are as effective when it comes to looking younger than you really are. While it might seem like a scary idea, cosmetic surgery is safe, and a qualified cosmetic surgeon can work wonders with relatively little healing time and no scarring. Procedures like the eye tuck, which can help the focal point of the face look younger, and procedures like a face lift which can help get rid of wrinkles and loose skin around the cheeks and neck are ideal for people seeking a younger appearance. Best of all, you’ll look younger for years, and unlike that lipstick, it won’t come off at night. This is a guest post by Annette Hazard who is a freelance blogger promoting Cataract Surgeon Salt Lake City. She enjoys writing about beauty, and is a mother of one. Nobody likes the look of swollen, puffy eyes. It makes you look sickly, worn out and even if you’re having a good hair day, your overall appearance takes a proverbial nosedive. Good news though; there are several homemade eye masks that can help reduce under eye puffiness and not drain your bank account. Knowledge is prevention, so let me share a few facts with you before dishing out the goods. Your eyes are surrounded by a thin layer of skin that is very sensitive and rich with blood vessels. It’s no wonder that this area can be so easily affected by conditional changes. Many things can cause your under eye area to puff up, and with time the swelling will generally come down. If you’re anything like me and patience isn’t one of the virtues you possess, stay tuned for my amazing DIY puff-reducing masks! Several things can influence your eyes and cause them to swell up. Some of these things include allergies, fluid retention, changes in your hormones, stress and most commonly, when we cry. When your body responds to one of these changes, an influx of blood flows to the eyes and causes them to swell. On the other hand, crying strains your eyes which is why inflammation occurs. Obviously, things like allergies, hormonal changes and stress aren’t as easy to control as some other factors that play a leading role in eye swelling. Lack of sleep, excessive partying and sodium-rich diets are all precursors to puffy eyes by causing fluid retention within the body. The holidays are always a busy time around my household. The days are usually filled with baking tasty treats, cooking up a storm and cleaning in preparation of house guests arriving. Most nights are filled with good company, a few drinks and all that tasty food I prepared during the day. Time flies when you’re having fun and then you look up at the clock and realize it is well after midnight. Looking in the mirror the next morning, I couldn’t help but be appalled by the dark circles below my eyes. As the holidays went on they got darker and darker. What was causing this, but more importantly, how the heck could I get rid of them? Let’s break it down, shall we. You would think that dark circles come from late nights or a restless sleep, but often times there are many other factors at play. Sneezing and a stuffy nose may not be your only problem if you suffer from seasonal allergies. Nasal congestion can cause a back up of blood flow in the eye region which is where the dark coloration comes from. You may also notice that your eyes swell and look puffy at this time; just another residual effect from Mother Nature to you during this already agonizing time. The area around the eyes is extremely sensitive and nothing harms it more than a careless and rigorous make up removal routine. Puffy eyes, eye infections and premature wrinkle lines are some of the harmful effects of irresponsible make up removal techniques. While the majority among us love to apply makeup on our eyes, when it comes to its removal, either we get too lazy and sleep with make up on, or negligently wipe it off with strong soap, thus harming the delicate eye area. Removing eye makeup before sleeping at night is one of the most important and easy procedures if we use the right products. 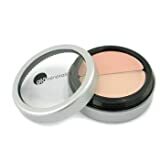 So, to help you with the information you need on the correct make removal techniques, here is our list of the best makeup removal products with directions for their application. 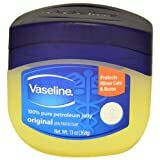 Vaseline: This product is low on cost and high on effectiveness. It is 100 percent petroleum jelly which apart from moisturizing your dry skin and lips, effectively and easily removes your eye makeup. Apply and spread a small amount of Vaseline around your eyes and then using a warm cloth, gently wipe it off. The make up sticks to the jelly and thus comes off with it. In addition, Vaseline can also be used to remove the glue used to stick false eye lashes. Apply it on the glue, leave it for 2-3 min and gently remove the lashes. Olive oil: This is an excellent natural product which effectively and completely removes eye makeup. Dip a small cotton ball in olive oil and gently apply it on the makeup. Then take a clean cloth and gently wipe off the olive oil. It is another effective product that easily and effortlessly removes eyelash glue. Cleansing creams: Though cleansers are generally used to clean and moisturize the skin, they can effectively remove the eye makeup as well. Use a cotton ball and gently wipe the makeup with the cleanser. Along with moisturizing your skin, it would effectively remove the makeup. A precaution here, wipe with soft hands as rigorous cleansing may harm your eye lashes and even pull them off. 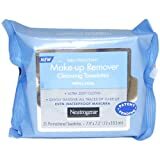 Makeup removing Wipes: You can buy any of such wipes from a nearby cosmetic store. It does not require water or cloth. Simply use these wipes and they would effectively remove your eye or face makeup. Though they are a bit costlier than the natural products, but despite of that, they can be really useful especially while traveling.